If you are avoiding chocolate this coming Easter, for whatever reason, or giving Easter gifts to someone who can’t have chocolate, there are plenty of non chocolate Easter gifts that will delight! Handmade or ready to give, a gift that lasts beyond that Easter weekend sugar rush are great alternatives to chocolate Easter eggs! Not everyone loves chocolate. I am not one of those people. Chocolate makes me pretty happy… but at the same time, I love gifts that keep on giving! Especially if a little bit of handmade Easter gifts love is added to those gifts. 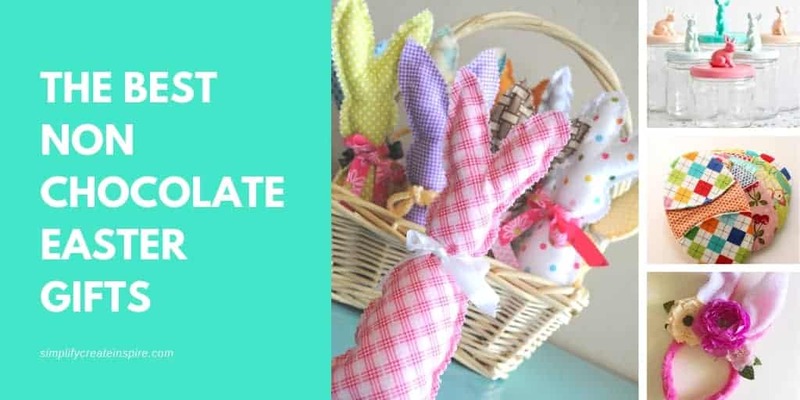 But don’t worry if you aren’t the crafty type, because I have included a load of Easter gift ideas that are ready to give too! DIY Easter gifts are pretty special. They show a lot of thought and effort went into them and they are unique, since you can’t get them in a store. Plus it is always fun to get a little creative with homemade Easter gifts too! I often make homemade Easter chocolates and gift them in handmade Easter gift baskets, but these awesome gift ideas include something for all ages and not a chocolate egg in sight! Homemade bath bombs are a great gift for ladies and kids. Your female friends and family will enjoy the excuse to pamper themselves, and kids just love seeing bath bombs fizz up around them during bath time. 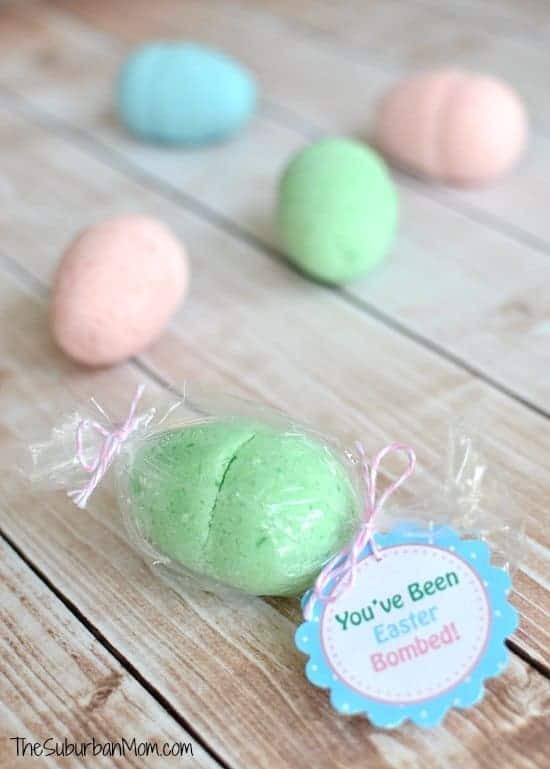 your lady friends and family, these egg shaped Easter bath bombs are a fabulous idea to encourage some pampering. We had load of fun making these cute and simple Easter bunny ears headbands together and they would also make a fun gift for kids at Easter time. You can find the full tutorial here. Most kids love chocolate! Unless they are unable to have it due to diet or allergies. 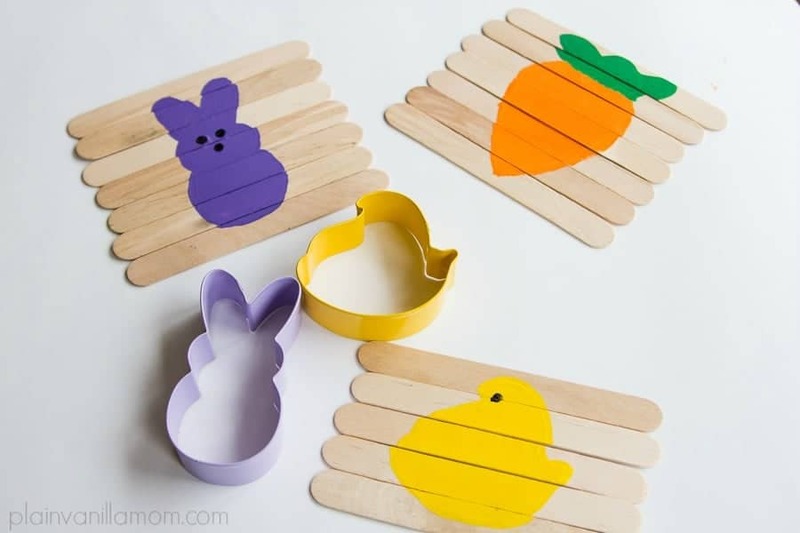 This means coming up with super fun DIY Easter gifts for kids that they will enjoy even more than a chocolate egg and I love the idea of these Easter puzzles. Not only are they really inexpensive and easy to make, but they will provide ongoing fun, plus develop little minds with problem solving skills. This cute little pom pom bunny is an easy DIY Easter presents idea to make and will likely be adored by a special child in your life well beyond Easter. You can make them in their favourite colours as a cuddly little friend for Easter day. 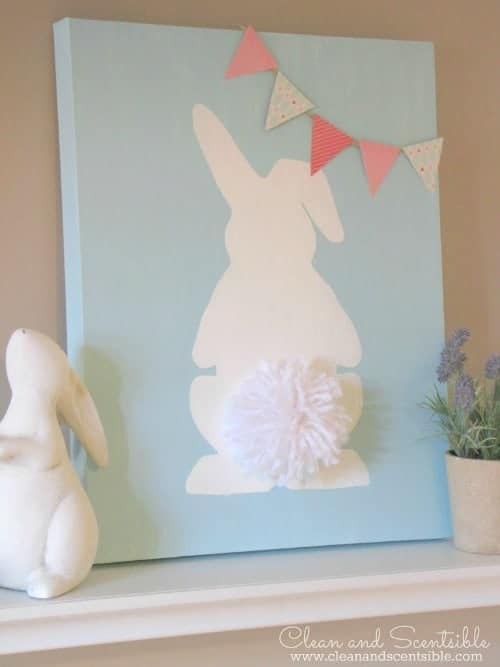 Bring a little Easter cheer into someone’s life all year round with this cute bunny canvas, complete with a pom pom tail. This is a really easy and inexpensive gift to make that you can put together in just a couple of hours. It would look really sweet on the wall of a nursery too making great Easter gifts for babies or toddlers. Most parents with young kids will find broken crayons floating around. 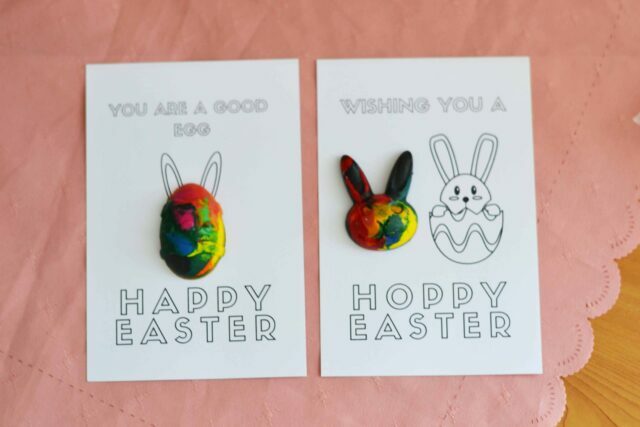 Alternatively, they are pretty cheap to buy and you may already have the Easter moulds on hand for making chocolates or other baked goods, so this is a super simple upcycling idea for using up crayon pieces. Alternatively, you can purchase boxes of crayons for really cheap if you want them to be single coloured shaped crayons like these cute egg and bunny shapes. They also make perfect Easter class gifts from teachers or for your kids to hand out to their friends before the Easter break ! You can grab my free printable easter cards as a bonus too! 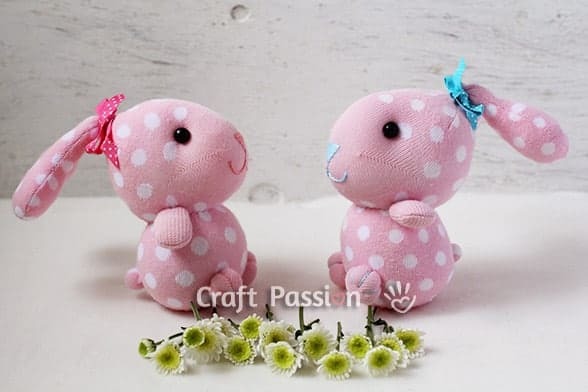 Sock animal toys are so cute and they make great Easter gifts for toddlers or babies, for display in their room or to play with as they get older. This sock bunny is adorable and a fun handmade gift project. If you want a lasting gift that older or younger kids will love, this handmade door sign is a great option. They are really easy to make and inexpensive too, plus you can customise them to suit the colours and interests of the child so that it is a sign they will proudly display on their bedroom door or wall. Easter gifts for babies can be tricky. They don’t need sweets. They can’t have toys with small pieces. But they can have super cute homemade Easter outfits!! 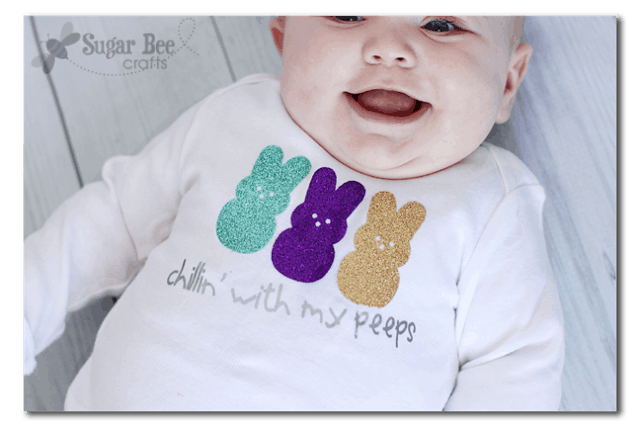 This Easter Peeps inspired bunny baby romper would make a great gift for a baby or toddler. The tutorial includes a free cutting file for the peeps design too. They are especially great Easter gift for newborns. These no sew felt play mats are great alternative Easter presents for children. They are easy to make and will give the kids hours of fun together or playing solo, sparking imagination. This would make a great Easter party activity also if you have young children visiting. This pom pom rug is an easy DIY project you can make yourself or with the kids help for someone special. It makes a great bedside rug or my kids also love to sit on it when they play. Either way, it’s super cute and super easy! 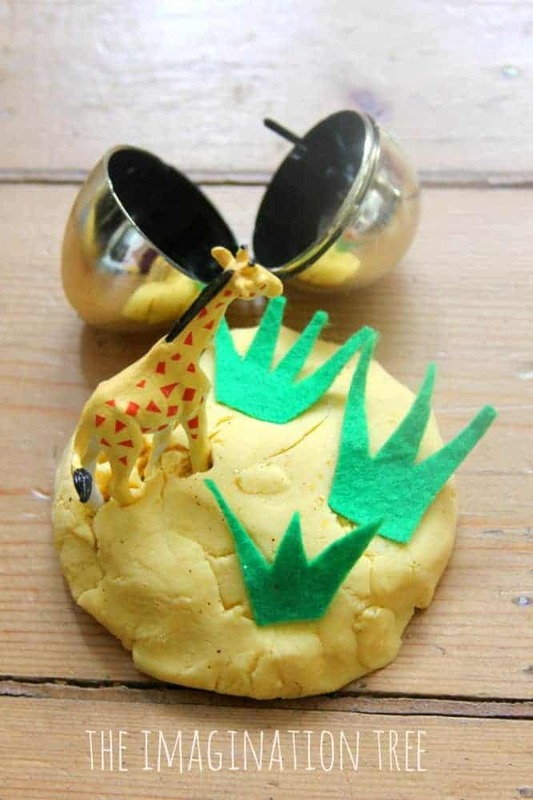 My toddler and so many other kids are obsessed with surprise egg videos on YouTube so a DIY version is perfect, especially when it includes the sensory fun of playdoh as well. These Playdoh Easter surprise eggs are a fun non food gift idea that will delight them, with surprises inside. You can get plastic eggs in many discount variety or craft stores, or purchase them online and make your own playdough at home. Or if you are not so keen for the DIY version, you can purchase a premade set loaded with eggs, dough, moulds and more from here. If you have lots of fabric scraps and not quite sure what to do with them, this is a super cute idea! 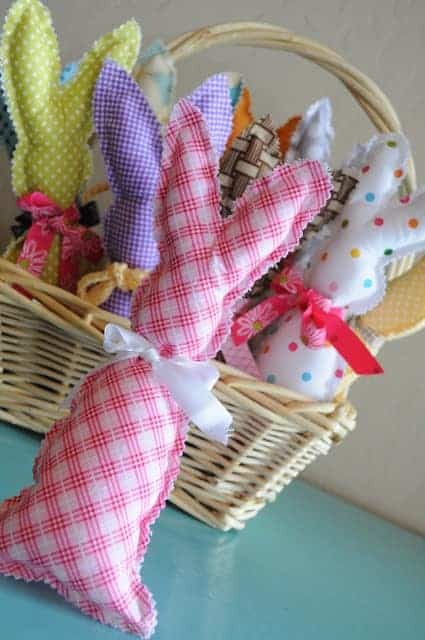 Make a basket of bunnies as a gift for a little person, or you could get a little extra creative and stuff them with potpourri or similar to make them a scented drawer sachet for an Easter gift for adults too! 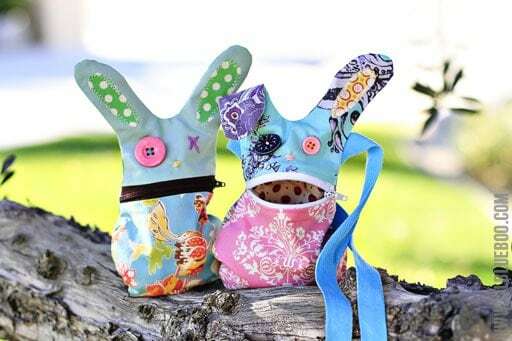 If you are looking for a DIY Easter gift for teenagers or older children, these hungry bunny bags could not be any cuter! Functional and fun, plus they use up some more of those fabric scraps you’ve been hoarding! They would be great with some little hair accessories, handmade jewellery, nail polish or lipgloss inside as an extra surprise. For many of us, the older we get, the more we realise we probably could skip those Easter chocolates each year. Whether it be to try and cut down on sugar in our diet, or an actual dietary need, it is always good to have some DIY non food Easter gift ideas for adults planned for those occasions. Plus a handmade gift is a great way to show how much you appreciate someone. Many of these would also make perfect homemade easter gifts for teachers. Check out these fun Easter gift ideas for adults. Functional and fun, these egg shaped pot holders are a great fabric project that will be useful on Easter Sunday for serving up that incredible feast! 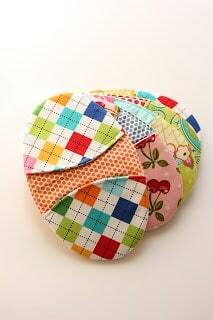 These are so cute and a simple sewing project. Find the full tutorial in the post. How about some non chocolate easter eggs for adults? 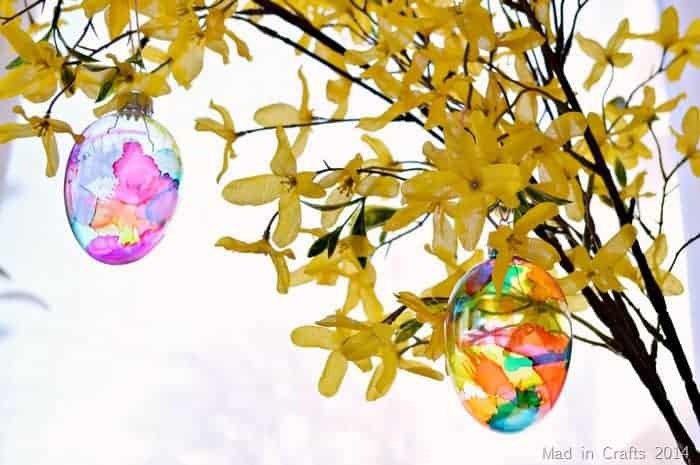 These stained glass easter ornaments are absolutely stunning and would make a beautiful decorative piece for Easter time in your home, or as an ornamental gift for a loved one. Imagine how they will look as the sun catches in them. 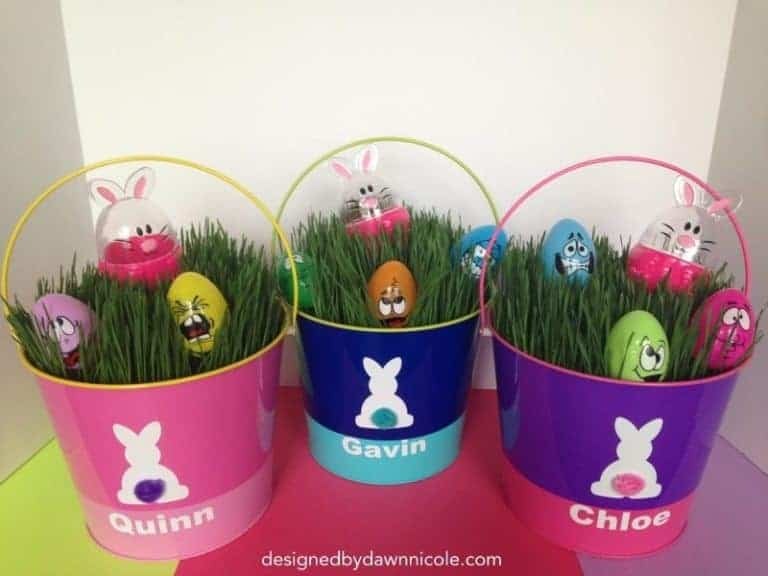 Okay, so these personalised Easter buckets with grass are so super cute and would be a fun gift for kids, but why should the kids have all the fun. Instead of grass grow herbs or wheatgrass, or a pretty flower in them as perfect gifts for adult friends! 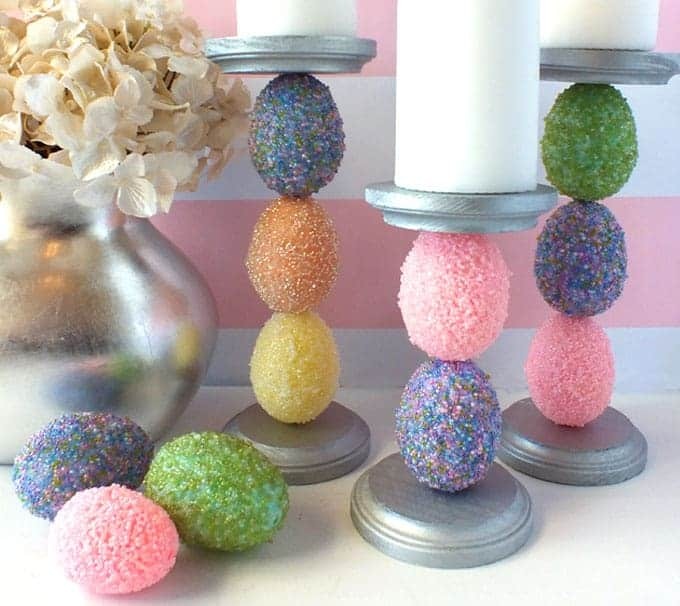 These Easter egg candlesticks are so fun! Pretty colours, sparkles, and so funky! They would make fun homemade easter gifts for the person who loves all things bright and colourful. Or just for a special Easter decoration for the home. 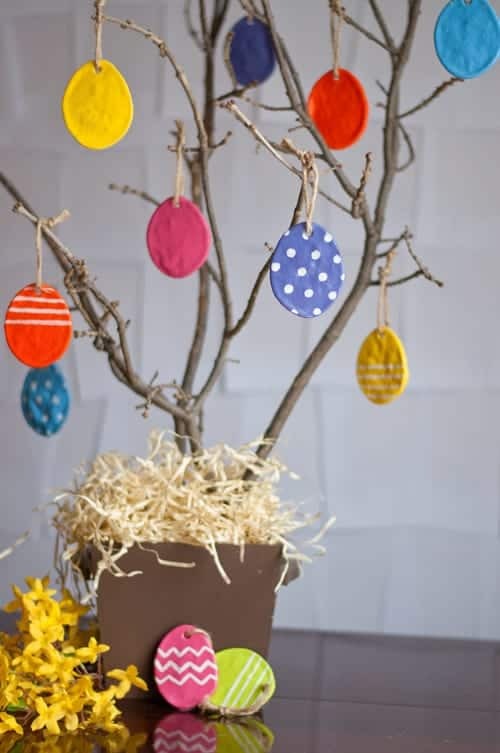 If you are looking for a cute and simple handmade Easter gift kids can make for adults, these salt dough ornaments are always a great choice for all occasions. They are really simple to make and the kids can have loads of fun decorating them with pretty colours! If you are a teacher or do any sort of playgroup, these would also be great as an Easter gifts for parents that kids can take home. 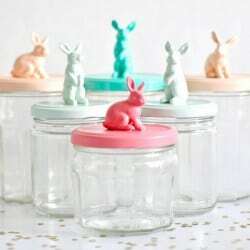 These bunny jars are a cute handmade storage idea for non edible easter gifts for adults. Fill them with whatever you like, such as craft supplies, baked goods, homemade jam or pretty much anything you can think of that would fit. Perhaps even some homemade bath salts or body lotion. You could do this with any jar by simply painting the lid and a bunny ornament in the same colour and gluing together. This super cute playset encourages fine motor skill development in toddlers ad is an easy toy to take with you when you travel, in case you are heading away for Easter for a family holiday. Available online here. Hatchimals are one of the popular kids collectable sets right now and they are a great option at Easter time since they are essentially surprise eggs! Available online here. This bunny shaped cupcake or cake stand is simply precious and would make a lovely gift for anyone who loves to entertain or bake. It is a great Easter entertaining platter or for any special occasion really. Who doesn’t want a bunny holding up their sweet treats! Available here. My kids have this book and they loved it when they were younger. We read it often and not just at Easter time. There are loads of great Easter picture books available. This one is available online here. We love playing games in our family. We have regular games nights with our kids or with the extended family and we are always looking for fun new options to add to the collection. This one is a cute bunny inspired game the younger kids will especially love. Available here. Deviled eggs are an Easter staple on many Sunday feast table, and this platter is such a fun way to present your deviled eggs or use it for other round shaped foods. Available here. With all these great ideas, you won’t be short of options for Easter gifts this year, no matter who you are gifting to! There is something here for every age group, handmade or ready made and the recipient is sure to love their gift! 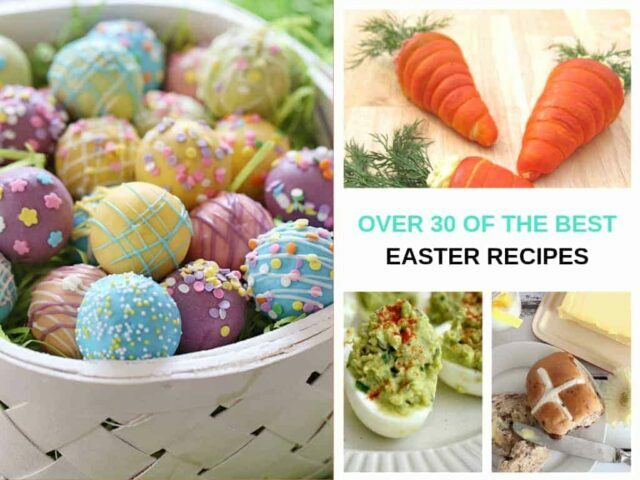 Be sure to follow me on Pinterest for even more great Easter ideas – gifts, recipes, decor and craft ideas. And of course, it wouldn’t be Easter without great food, even if that doesn’t necessarily mean loading up on Easter eggs! So head on over and check out my massive round up of Easter recipes. There are recipes that will suit for hosting at home or to take with you if you are spending it elsewhere! Such great ideas! I love the bunny artwork and the play dough eggs. These would be fun for my son’s toddler friends. Thanks for joining my link up today. I hope we can continue to network. I’m loving these ideas, especially the pom pom bunnies and the canvas. thanks! Love these ideas, thank you! I hate the overkill of chocolate at Easter and have to say to my parents ‘one egg for Elliott only!’ but he always ends up with so much more! I especially love the pom pom bunnies, I remember making pom poms like that at school…so easy. Sharing! Thanks Eva. I agree… I was horrified by how much chocolate my daughter got last Easter at age 1. Actually I was so reluctant to give it to her, I threw some out only recently that had been stashed at the back of the fridge haha oops. I love this! I am definitely going to try some of this with the girls. Thank you! G’day and thanks for sharing at the Say G’day Party Pinned! Love these! I especially like the idea of easter puzzles. Brilliant ideas – I love the bunnies! I love these ideas and will be pinning for future use. I can’t decide where to start. Thanks for sharing on Sunday’s Best. Thanks Rhonda. It makes me want to create so many things too. Some great ideas here Holly!